I was on a rather lackluster birding outing in Kissena Corridor Park in Queens when I heard Blue Jays mobbing something. They were distant so it took me awhile to get to them and when I got close it quickly became apparent that they had something good because it wasn’t just Blue Jays but Northern Cardinals, Black-capped Chickadees, and a Hermit Thrush all riled up and harassing something in the lower branches of some small trees. Whatever it was couldn’t be very big because I couldn’t see it even at relatively close range to the location that seemed to be the epicenter of the mobbing behavior. I moved closer until I was within the circle of cardinals chipping, chickadees chick-a-dee-dee-dee-ing, and the thrush chup-ing. I still couldn’t find the target of their mobbing until suddenly I could. Wow! A saw-whet! But I was far too close to the bird so I snapped a few quick shots and backed away and circled to put the sun behind me, hoping to find a window through the leaves and branches to get a clear shot. In the meantime, the mob was getting more frenzied. Then a jay swooped in on the owl and either actually hit it or came close enough that the owl decided it had taken enough mobbing. It took off, flew at me, and landed on a bare branch not more than six or eight feet away and only about seven feet off the ground. Wow wow wow! The bird clearly had no problem with being so close to me but the mob it had attracted apparently did and they took off, one by one, until it was just me and the owl in a little patch of woods. 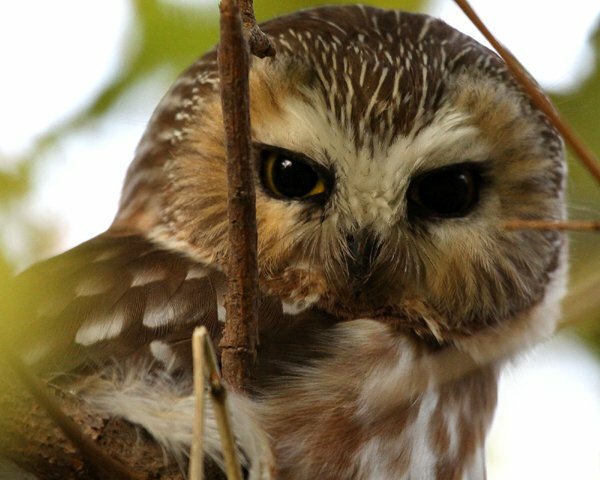 Northern Saw-whet Owls breed across a broad swathe of Canada’s forests and down into the northern United States, further south at higher elevations. 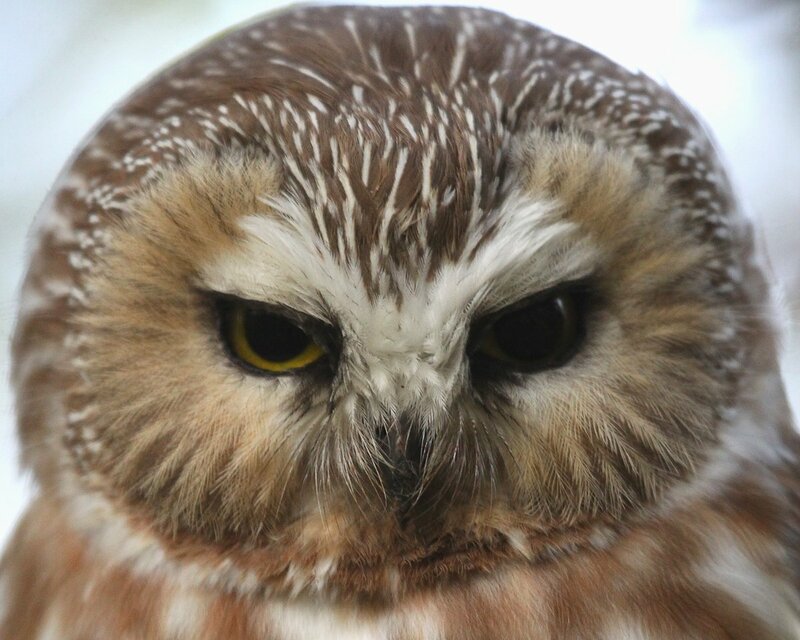 They migrate south in winter, and over the last decade or so much has been learned about their relative abundance and their migratory patterns by banding stations set up specifically to figure out what the diminutive owls are up to. But I wasn’t thinking about any of that. I was thinking of getting good pictures and, once that was done, enjoying the presence of the cutest of killers. 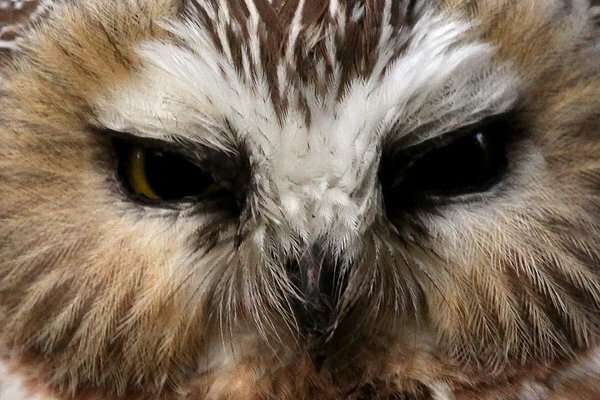 Eventually the owl, apparently totally comfortable in my presence, closed its eyes. I stole away and remembered to breath again. Now that is how you want to see an owl! Awesome find! Have you previously seen them in Queens? Excellent pix, and such a wonderful encounter. Wow! Great pictures. 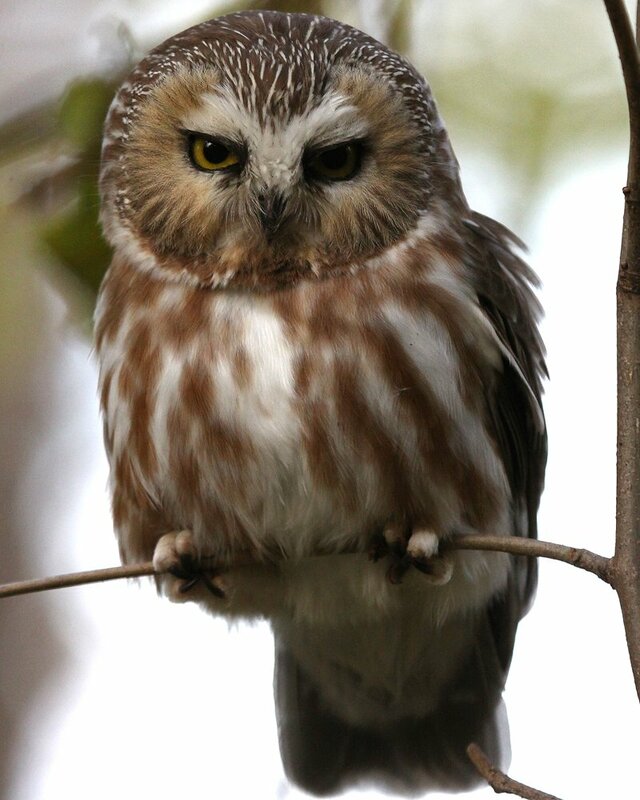 I have yet to see a Saw-Whet Owl in the wild, and I’m in upstate NY. Absolutely amazing photos! 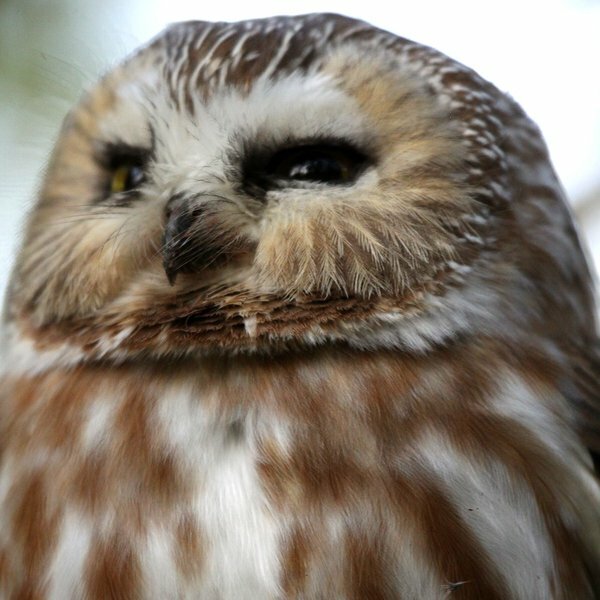 It must have been exciting just being alone in the woods with the owl and your camera. He’s adorable! Great pictures, Corey! We had an identical experience yesterday in western New Jersey, at our wood lot. Heard so much chirping and tweeting, 15 bvarious species including a pair of cardinals, and then noticed a saw-whet perched calmly in a rhododendrom. He let us get close, stayed there all day, and flew off silently at dusk. 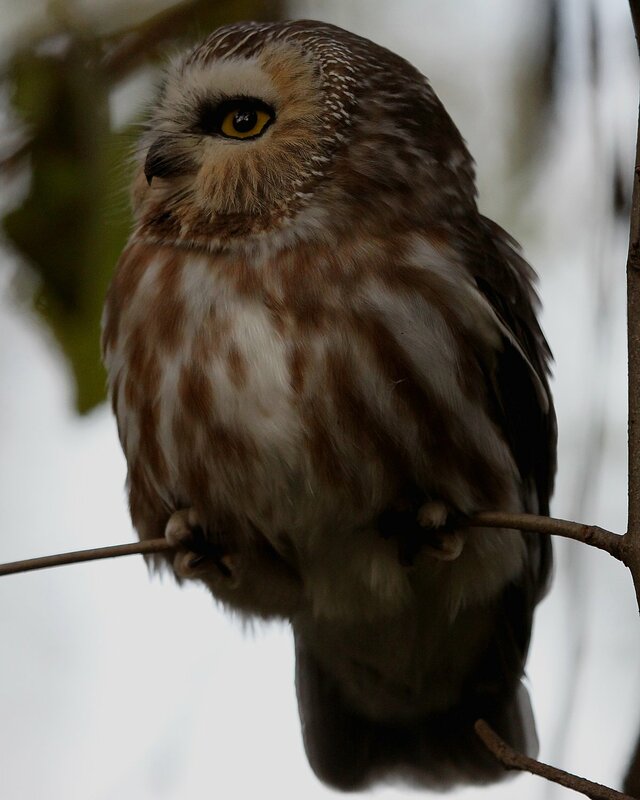 We had never seen an owl on our property. We once heard one hooting one winter’s night. 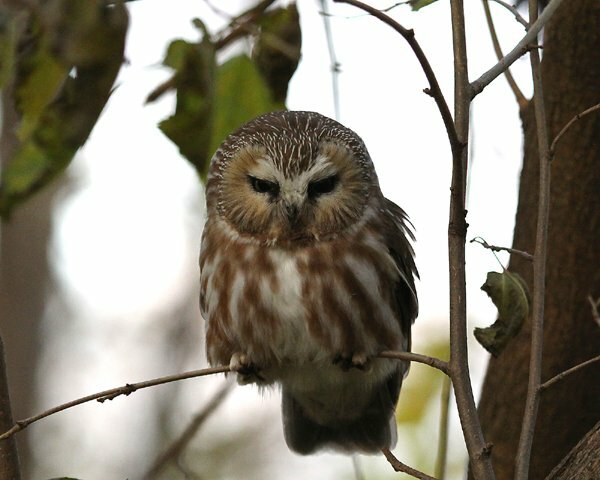 Where Are You Birding This Fourth Weekend of November 2012? Finally, the Virginia’s Warbler in Queens!